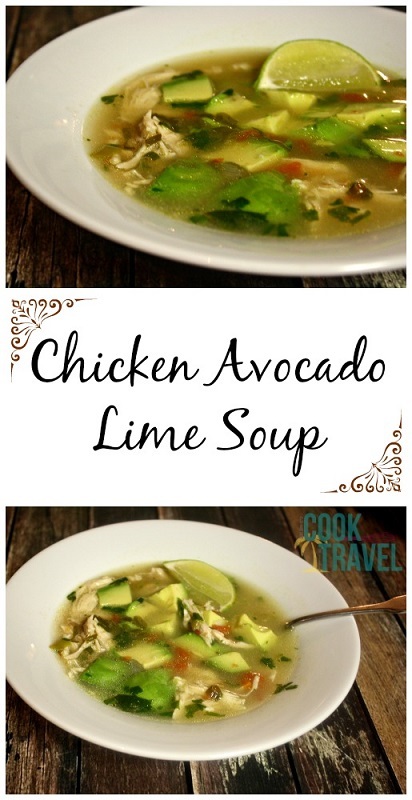 You are here: Home / Blog / Healthy / Get Your Soup On with Chicken Avocado Lime Soup … It’s Soooo Good! With Fall here (despite the warm weather that I’m totally not complaining about), I just had to make some soup for the season. 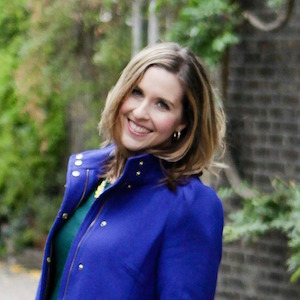 And I really wanted to find something that was healthy, comforting, and completely delicious. That’s where this Chicken Avocado Soup came in. There I was on Pinterest, searching for the perfect soup, and when I found this one from the site Cooking Classy, there really was no looking back. I mean what is more comforting than chicken soup? This was a low-carb soup that shockingly (for my carb-loving self) had no pasta or rice as a filler. And delicious is an understatement. On top of being uber tasty, can we talk about how easy this soup is to make? Just chop up some green onions, fresh cilantro, jalapeños, and Roma tomatoes. Then sauté the jalapeños and onions in a hot saucepan until they’re tender, then add some minced garlic. Next goes chicken broth, tomatoes, cumin, chicken breasts, and salt & pepper. A note on the chicken … I used some frozen chicken breasts that we had on hand, but you can obviously use fresh chicken too. But the frozen chicken was handy and meant I didn’t have to deal with slimy chicken. Score! You’ll poach the chicken in the liquid until it’s cooked through. I used a meat thermometer to make sure that it was cooked to at least 165 degrees Fahrenheit. Remove the chicken from the pot, and let it cool about 5 minutes so you can shred it. Add the shredded chicken back in along with some fresh lime juice and the chopped cilantro. Stir and serve it up. The avocado can be added when you’re ready to serve. I decided, since I knew I’d have leftovers, to just add half an avocado to each soup bowl when I took up the soup. I decided that this would let me add the avocados fresh to the soup as I continued to eat on it in the next few days. So how was it?! Seriously good! The jalapeños were really subtle and since the seeds were taken out, it wasn’t spicy. If you do want it a bit spicier, leave a few seeds in there. The chicken was so moist from being poached, and the lime … oh the lime was perfect for punching up the flavors in the soup. I served the soup with a little Mexican shredded cheese and a few corn chips on the side. You could also add some sour cream, but I didn’t really think it was necessary. 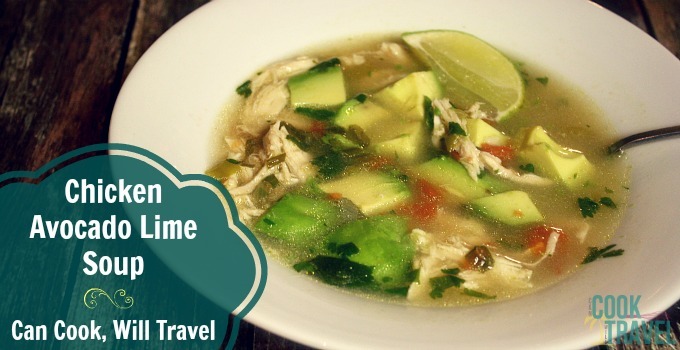 This Chicken Avocado Lime Soup was a HUGE hit with my family! In fact, my mom declared it was the best soup I’ve ever made for her. That’s a giant compliment, my friends! So be sure to click that link for the recipe and step by step instructions. Yum, yum, yum! It’s perfect for the next time you’re needing some comfort food or are coming down with a cold! Three years ago: Fried Rice – Quinoa Style!